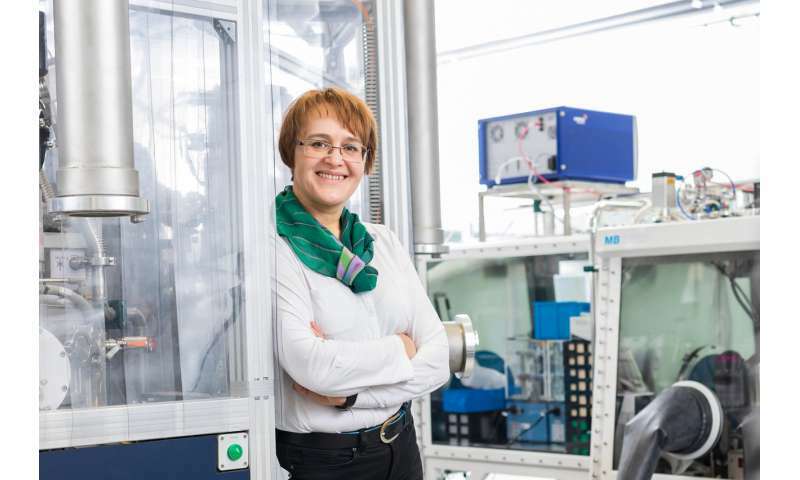 A team of material researchers from Juelich, Munich, and Prague has succeeded in producing a composite material that is particularly suited for electrodes in lithium batteries. The nanocomposite material might help to significantly increase the storage capacity and lifetime of batteries as well as their charging speed. The researchers have published their findings in the journal Advanced Functional Materials. Lithium-ion batteries are the ultimate benchmark when it comes to mobile phones, tablet devices, and electric cars. Their storage capacity and power density are far superior to other rechargeable battery systems. Despite recent progress, however, smartphone batteries only last a day and electric cars need hours to be recharged. Scientists are therefore working on ways to improve the power densities and charging rates of all-round batteries. "An important factor is the anode material," explains Dina Fattakhova-Rohlfing from the Institute of Energy and Climate Research (IEK-1). "In principle, anodes based on tin dioxide can achieve much higher specific capacities, and therefore store more energy, than the carbon anodes currently being used. They have the ability to absorb more lithium ions," says Fattakhova-Rohlfing. "Pure tin oxide, however, exhibits very weak cycle stability—the storage capability of the batteries steadily decreases and they can only be recharged a few times. The volume of the anode changes with each charging and discharging cycle, which leads to it crumbling." One way of addressing this problem is hybrid materials or nanocomposites—composite materials that contain nanoparticles. The scientists developed a material comprising tin oxide nanoparticles enriched with antimony, on a base layer of graphene. The graphene basis aids the structural stability and conductivity of the material. The tin oxide particles are less than three nanometres in size—in other words less than three millionths of a millimetre—and are directly "grown" on the graphene. The small size of the particle and its good contact with the graphene layer also improves its tolerance to volume changes—the lithium cell becomes more stable and lasts longer.